BJJ America is a world class Brazilian Jiu-Jitsu organization designed by Professors John Will and David Meyer to introduce and infuse the highest quality grappling experience into martial arts schools and their practitioners all over the world. It is in use in over 700 martial arts schools and is the official grappling program of the Chuck Norris UFAF association. BJJ America’s Professional Grappling Curriculum allows any style martial artist to seamlessly integrate grappling and Brazilian jiu-jitsu techniques into their personal training as well as into their school’s program in a comprehensive, step-by-step, and easy-to-use fashion. The value of grappling skills continues to become more apparent and popular in today’s martial arts and street defense scenarios. If you are a martial arts instructor, BJJ America’s Professional Grappling Curriculum is an easy way to diversify your curriculum, add value to your program, attract new students and retain existing students. BJJ America offers master level instruction in Brazilian Jiu-Jitsu/ground fighting techniques and training. John Will was awarded the rank of Black Belt in Brazilian jiu-jitsu by Rigan and Jean Jacques Machado in 1998; making him the first Australian Black Belt in Brazilian jiu jitsu. 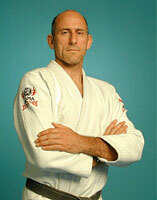 He is the top Brazilian jiu-jitsu instructor in Australia, coaching and training with many jiu-jitsu and MMA fighters. John began his martial arts training in 1972 and since has studied all over the world, including in Thailand, Hong Kong, Japan, India, USA, and Brazil, with such notables as Benny “The Jet” Urquidez, Gene “Judo” LeBell, Shuki Ron, Pete Cunningham, Rorion and Rickson Gracie, and the Machado Brothers. He has black belts in numerous styles of martial arts and has studied forms of grappling ranging from Western wrestling to obscure Asian grappling arts. He was the first Caucasian to win the world championship in Pentjak Silat in Indonesia. In the late 1980’s, a friendship with Rigan Machado allowed John to travel to and train in Brazil, and so began his serious study of Brazilian jiu jitsu. 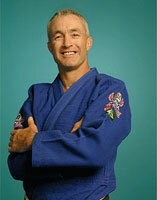 John now conducts in excess of 50 grappling seminars throughout Australia and overseas each year. He also works with Australian law enforcement groups and Special Operations personnel to improve their arrest and control procedures. Between writing books, running seminars, traveling and training with the world’s martial arts elite, this 3-time winner of the Blitz Martial Arts Hall of Fame Award can still be found most often at his schools in Melbourne and Geelong, Australia. John also created the Alpha MMA Curriculum, a Mixed Martial Arts Curriculum. 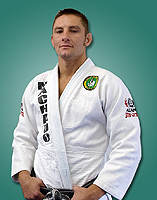 He was the first American to win a medal at the black belt level at a BJJ World Championship, earning the Bronze Medal in Black Belt Absolute (Open Weight Class) division in Brazil in 1998. He also won what is believed to be the first ever BJJ competition held in the United States (a cross-school competition between the Tarzana and Redondo Beach Machado Brothers schools in 1994). He has been the winner of numerous “superfights” at regional and national Brazilian jiu-jitsu competitions in both gi and no-gi competitions, and is well respected as both a competitor and instructor. David is also a passionate advocate for animal welfare and has been a vegetarian/vegan since 1985. He launched www.FuelForTheFighter.com to show how MMA and BJJ fighters can be vegan/vegetarian and have increases in their strength and endurance. He also created videos to get people to consider consuming less animal products, which you can view here www.TheSmarterDiet.com. With over 30 years in the Martial Arts, Instructor Brian Johnson coaches students and combat athletes in grappling tournaments and professional mixed martial arts (MMA) competitions through out the Northwest. Besides coaching, Brian is one of the most successful competitors in the sports of BJJ and submission grappling, holding multiple world championship titles, NAGA and Grapplers Quest championships, and with gold medals too many to list here. Through his experiences coaching and competing Brian has helped develop a successful Grappling Seminar program popular with a diverse range of martial arts schools and styles all over the US and Canada.